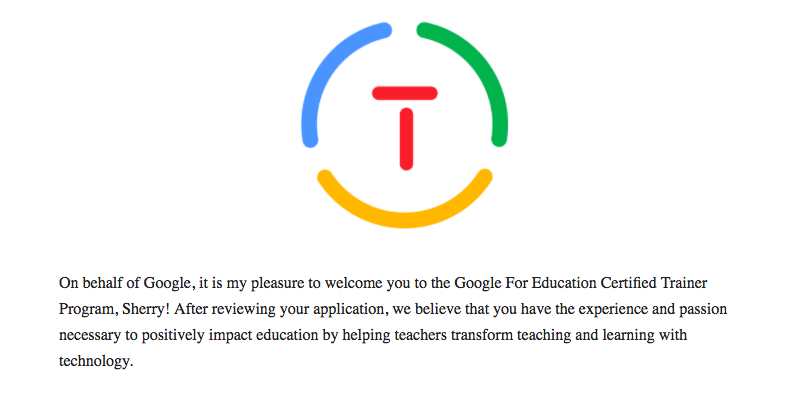 I am thrilled to announce that I am officially now a Google for Education Certified Trainer! Many more details were included in the email, but the bottom line is that I get to be a part of this amazing group for the next 2 years! 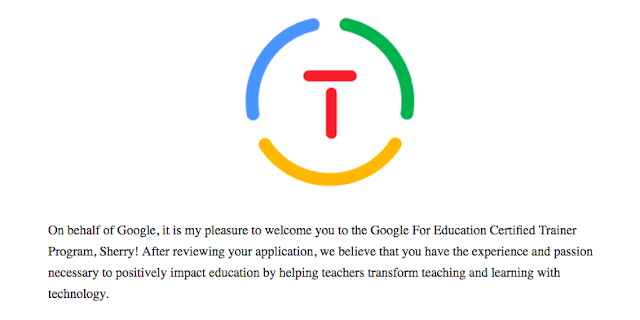 I'm excited to continue learning with Google and continuing to share using Google Apps for Education in my job at Five Star Technology Solutions working with administrators and teachers. Think you have what it takes to be a Google Trainer too? If you are regularly using GSuite and leading professional development for other teachers in how to use it in transformative ways, I think you DO have what it takes! Read more about the program and application process here. The application process consists of a Trainer Skills Assessment, a fairly extensive application that details your experience in leading professional development as well as showcases some of your trainings, and a 3 minute video. 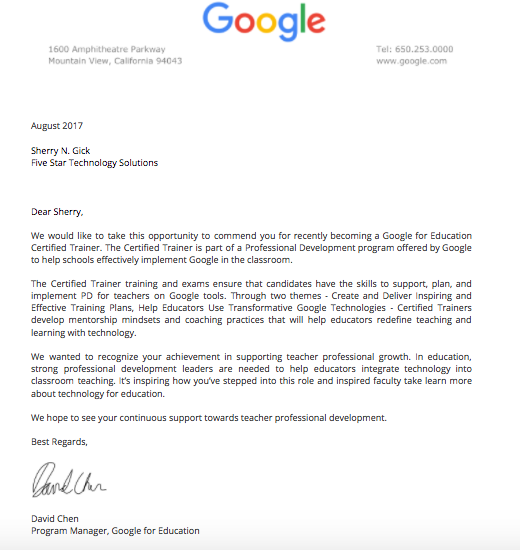 You also need to already have passed both levels 1 & 2 of Google Educator Certification. Of course Google answers any questions you might have on their FAQ page. Check it out and get busy applying! Just for fun, here's my video application about how to use Google Keep, one of my most favorite GSuite applications. Great Googley-moogley! I know you can do it too!